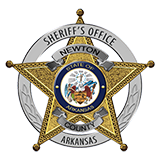 Newton County Sheriff Keith Slape said that Ronald Clark Shaver, 44, of Compton was arrested for theft by receiving. Slape stated that Shaver had stolen cattle reported from Boone County at a corral by his residence. Slape stated that Franklin County Sheriff's Office had arrested Shaver for theft by receiving when he attempted to sell some at the Ozark livestock sale barn. The remainder of the cattle was found at his residence. Slape said that the investigation is still ongoing and that there are multiple agencies including Boone County Sheriff's Office, Johnson County Sheriff's Office, Franklin County Sheriff's Office and the Arkansas State Police investigating.